Labuan is a small island off the northwest coast of Borneo. The British became interested in the previously uninhabited, mosquito-ridden island in the 1840s as a possible base of operations against pirates in the South China Sea, and forced the Sultan of Brunei to cede it to them in 1846. 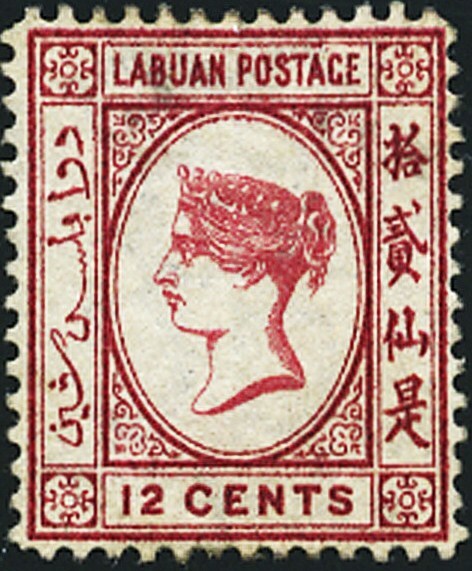 The first stamps of Labuan depict the usual profile of Queen Victoria, but are unusual for being inscribed in Arabic and Chinese as well as in English. 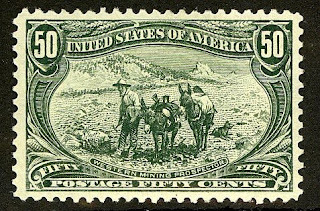 The stamps of both the first and second sets, issued in 1879 and 1880-82, were issued in small quantities. I've listed them below, along with their Scott '12 catalog values as unused and quantities issued. 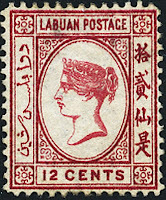 I consider the early stamps of Labuan grossly undervalued, possibly due to the island's obscurity. Many of its early stamps were probably used as postage and discarded. It's likely that few collectors of the 1880s had even heard of the place. The island is now a federal territory of Malaysia, with about 85,000 inhabitants. It is best known as an offshore financial center offering international financial and business services. It is also an offshore support hub for deep water oil and gas activities in the region and a tourist destination for nearby Bruneians and scuba divers. Labuan's stamps have dual market appeal to collectors of British Commonwealth in general, and Malaya/Malaysia in particular. 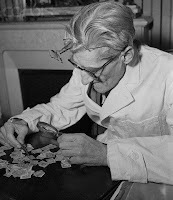 Jean de Sperati (1884-1957) was among the most noted stamp forgers of the world. Even professional stamp authenticators of his time attested to the genuineness of his stamps. A printer and engraver by profession, he was able to mimic the details of design, the pressure and the paper with such accuracy that he earned the title "the Rubens of Philately". Sperati was born in 1884 in Pisa, Italy, though he spent a large part of his life in France. As a child in Pisa and later in France, he began to collect stamps. He was particularly interested in printing techniques, as well as photography which was in its infancy at that time. Relatives owned a postcard factory as well as a paper mill. Through this, Sperati was able to obtain copious knowledge of photographic processes, print technology and chemicals. These formed the basis for his eventual career as a stamp counterfeiter. The first attempts to copy stamps went extraordinarily well. The first forgeries were of valuable stamps from San Marino, and stamp experts believed them to be real. 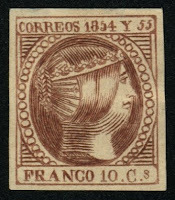 Thereupon Sperati began to produce numerous further reproductions of valuable stamps from all over the world. This eventually resulted in well over 500 master-quality forgeries from more than 100 different stamp-issuing agencies. In 1942, for the first time in his life, Sperati came into conflict with the law. A shipment marked as valuable from Sperati to a stamp dealer in Lisbon, Portugal was intercepted by French customs. It contained several falsified German stamps. They charged him with "exporting capital" without a licence and trying to avoid customs payments. He protested his innocence, and explained to the police that it contained only copies of valuable stamps, which he himself had prepared, whereupon the police called in the country's best stamp experts to clear up the facts of the case. 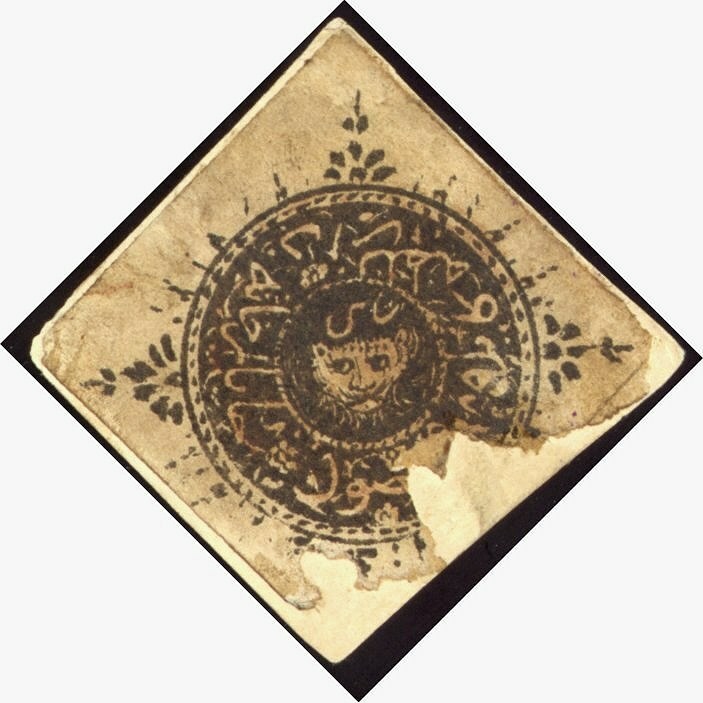 These experts came to the judgment that the stamps in question were all originals, and very valuable ones at that. Sperati still managed to convince the police that they were fakes, and was therefore charged with fraud. His trial took place in April 1948. Attempting to explain his actions, Sperati tried to convince the court that he had no deceitful intentions in the sale of the stamps. He considered himself to be an artist and not a counterfeiter. Furthermore, he declared to the court that he had merely forgotten to clearly mark the stamps as forgeries and he promised to be more diligent about such marking in the future. 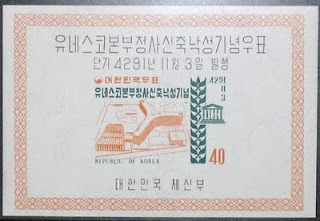 He claimed that he had offered the forgeries of rare stamps at about 1% of the normal market price in order to assist the simple collector to obtain these rarities. Nevertheless the Parisian judiciary convicted Sperati and sentenced him to a year in prison, 10,000 francs fine and an additional 300,000 francs for criminal intentions. The Parisians' judiciary did not convict him on the basis of the imitation, but rather because of Sperati's "deceitful intentions". He was convicted in April 1948. Sperati did not have to serve his prison sentence on the grounds of his age - he was already over 64 years old. 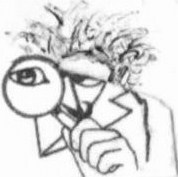 In 1954 he sold all his remaining forgeries as well as all the clichés to the "British Philatelic Association" for an enormous sum of money. He then withdrew from the forgery business and promised never again to falsify a stamp. His motive for selling the tools of his trade to the "British Philatelic Association" was to prevent them falling into the possession of someone who would imitate his work. Sperati died three years later in Aix-les-Bains at the age of 73. The stamp forgeries of Jean de Sperati are some of the best of the world. Many of them slumber undetected in various collections. 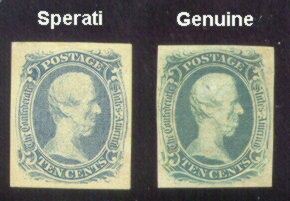 Sperati falsified only the most valuable rarities of the stamp world. He did this with an inimitable precision scarcely obtained by any other counterfeiter. A Sperati forgery is today in no way worthless. They are highly regarded and obtain high prices as special collectibles. 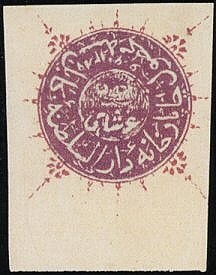 Most other stamp forgeries, on the other hand, are worthless. Sperati paid great attention to the accuracy of the postmark when falsifying the stamps. Therefore, postmarks found on his forgeries are limited to those of larger cities. They are currently very valuable in the philatelic market, and it is believed that he might have produced over 5,000 of them. In 1941 and '42, as a colony under Free French administration, St. Pierre and Miquelon overprinted many of its earlier regular and postage due stamps (as well as a Parcel Post stamp) "France Libre... F.N.F.L." Quite a few of these stamps were issued in quantities of under 100 to under 1,000, and most were quickly purchased by speculators, including the legendary Canadian stamp dealer Kasimir Bileski (1908-2005), whose owner's mark may be found on the back of some of them. 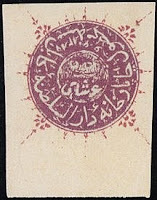 Quantities issued of many of the scarcest may be found by viewing the the Scarce Stamp Quantities Issued List (under the French Colonies/Possessions category). 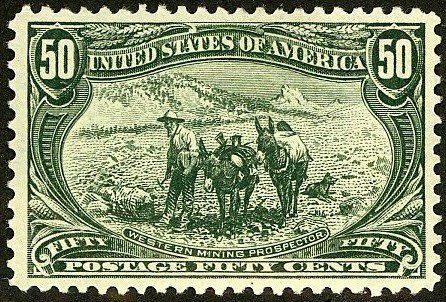 Despite the somewhat dubious nature of these stamps (and the fact that most of them were gobbled up within days after they were issued), I believe that collectors are increasingly accepting them, as evidenced by their high realizations at auction. This brings to mind John Huston's famous quote from the film "Chinatown": "Politicians, old buildings, and prostitutes all become respectable with age." The same often applies to stamps issued solely for the collector market. Fake overprints exist, so I strongly advise purchasing the stamps conditional on obtaining expertization. 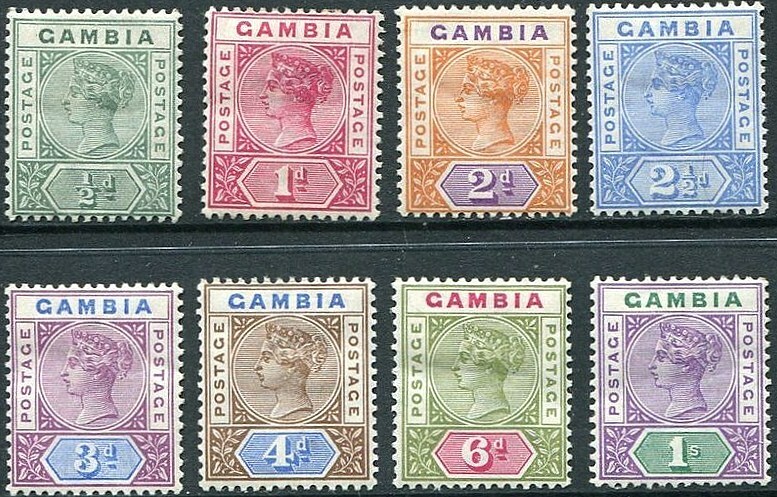 In 1898, the British issued a set of eight stamps portraying Queen Victoria for Gambia (Scott #20-27). 2,400 sets were issued, and Scott '12 prices the unused set at $113.50. 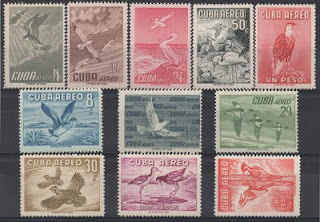 In 1956, Cuba issued a set of eleven stamps picturing birds (Scott #C136-46). 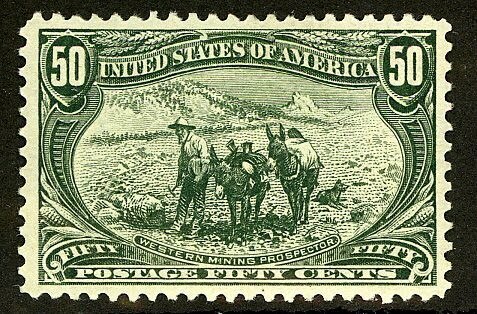 50,000 were issued, and Scott '12 prices the unused set at $75.00. 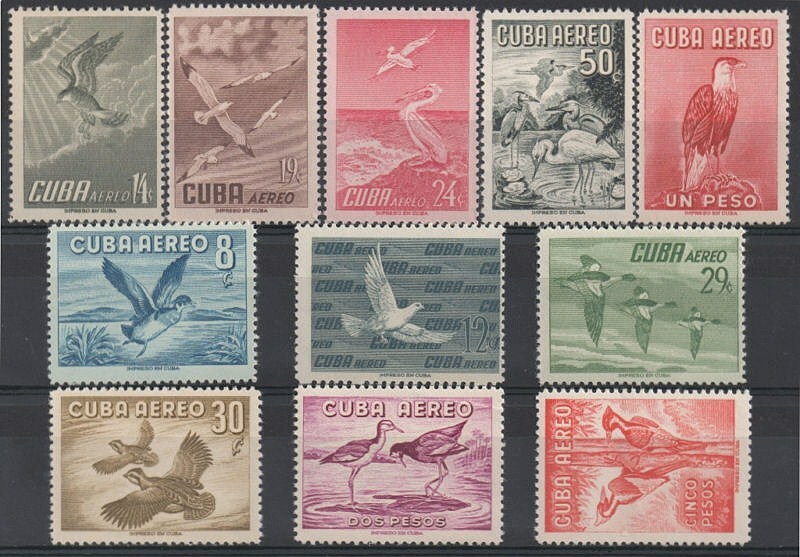 Aside from the set's appeal to Bird Topicalists, I believe that it will do very well when Cuba rejoins the crassly commercial, capitalist world, perhaps retaining a bit of a socialist safety net to keep the masses complacent. The set will also benefit from the long-term stealth bull market in better Latin American sets, which began around twenty years ago after the region's oligarchical dictatorships went out of style. Note that "gloppy" or toned gum are typical defects found on many of these sets, so select for those that have clean gum. Those interested in becoming part of an international community of stamp collectors, dealers, and investors are welcome to join the "Stampselectors" group and page at Facebook. These host lively discussions concerning stamp investment and practical aspects of collecting, and is also an excellent venue for those who wish to buy, sell, or trade stamps. In 1948, the Vatican issued a set of two airmail stamps picturing the Archangel Raphael and Tobias (Scott #C16-17). 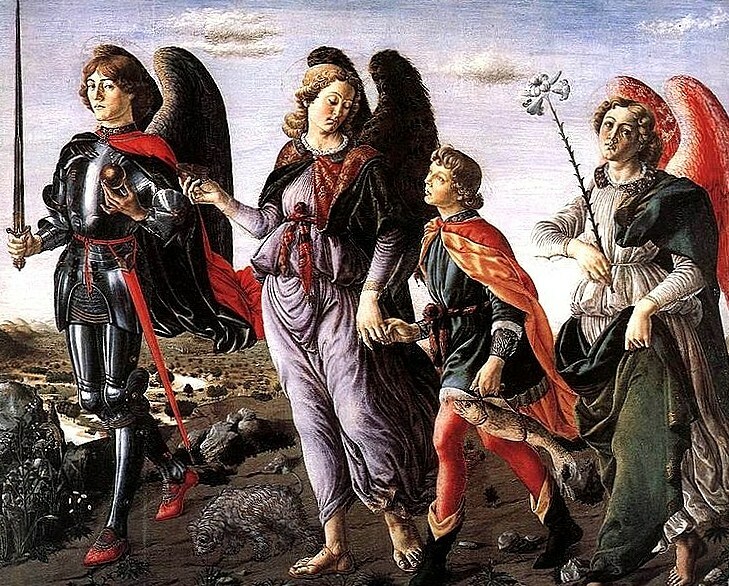 The design was based upon the Francesco Botticini's painting "Archangel Michael with Archangels Raphael and Gabriel, as They Accompany Tobias." 45,000 sets were issued, and Scott '12 prices the unused set at $440.00 ($640.- for NH) . Though in a sense, all Vatican stamps are of special interest to Catholic collectors, th is set's subject enhances its appeal as a combined Religion and Art Topical. Purchasing it could have an angelic effect on your stamp portfolio. Stamps of the Vatican appeal to both collectors of Italy and Area in general as well as Vatican in particular. Better Vatican items in general should do well as the number of Catholic stamp collectors increases worldwide, especially since many live in emerging market countries.